New: * 21 new elegant menu templates with UL/LI menu item's structure, visual effects, image background and border with transparency and round cornerts. CSS version of all templates! 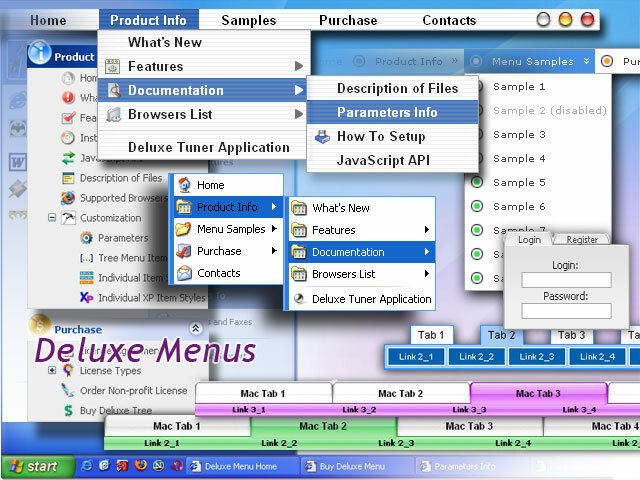 * Compatibility with CSS Menu and Deluxe Menu is improved. * New parameter transparency for submenus is added. Sothink DHTMLMenu can help web designers to create DHTML menu without writing any code. Both menu's content and the menu sitemap can be found by Search Engine without difficulty. And seamlessly integrate with Dreamweaver, FrontPage and Golive.